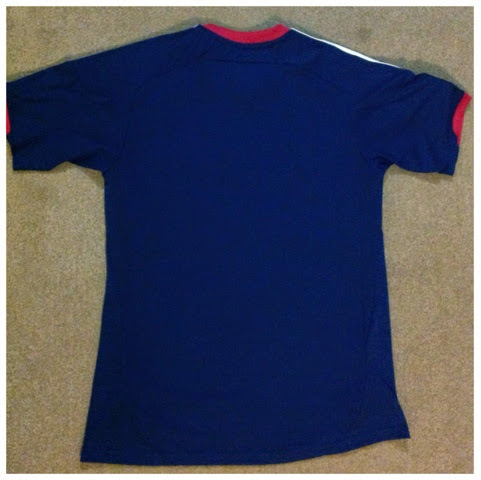 My personal football shirt collection, specialising in MLS and European shirts, mainly Adidas and Nike. 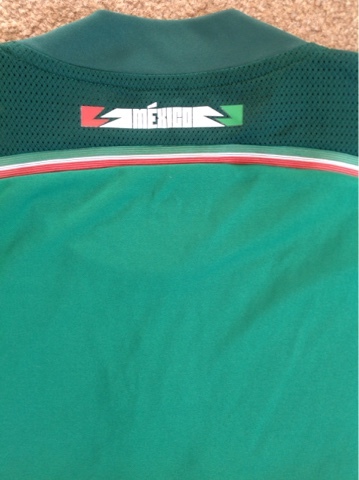 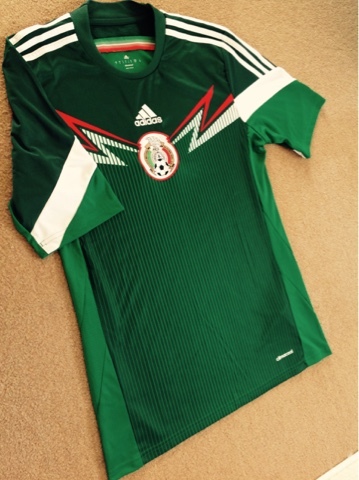 Adding to my collection of World Cup 2014 shirts is the Mexico home shirt. 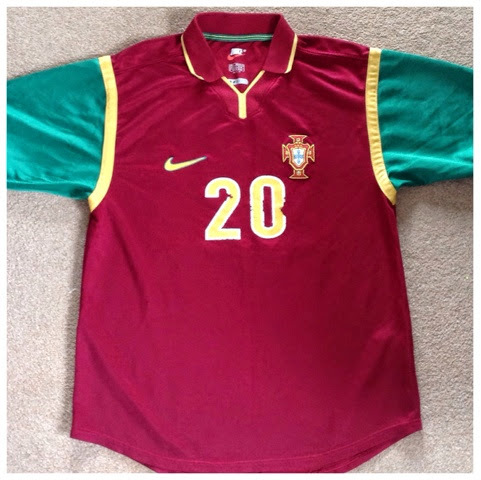 I remember reading an article in the Guardian that this was the "hipsters" choice of World cup shirt. 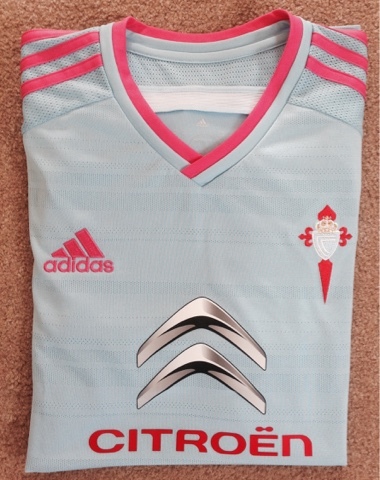 I can see why with its retro 80's style but with the modern twist, it uses the Adidas template very well. 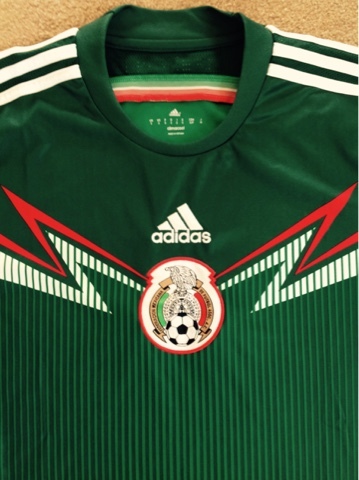 I really love the little touches on this shirt, the subtle stripes and the Mexican flag incorporated into the horizontal line across the shoulder are fantastic. 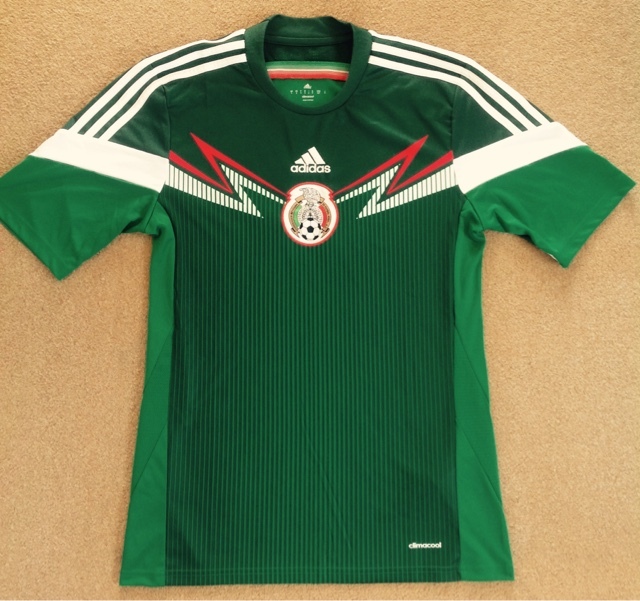 I did plan to get this shirt printed up with Watford Mexican international Miguel Layun but I cant seem to find the printing anyhwere. 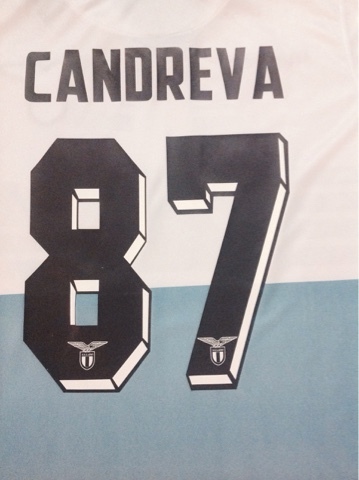 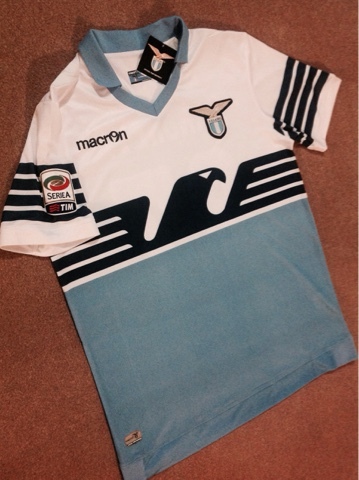 Probably my favorite use of the Adidas Condivo 15 template here, just love the colours and the woven pattern of the front. 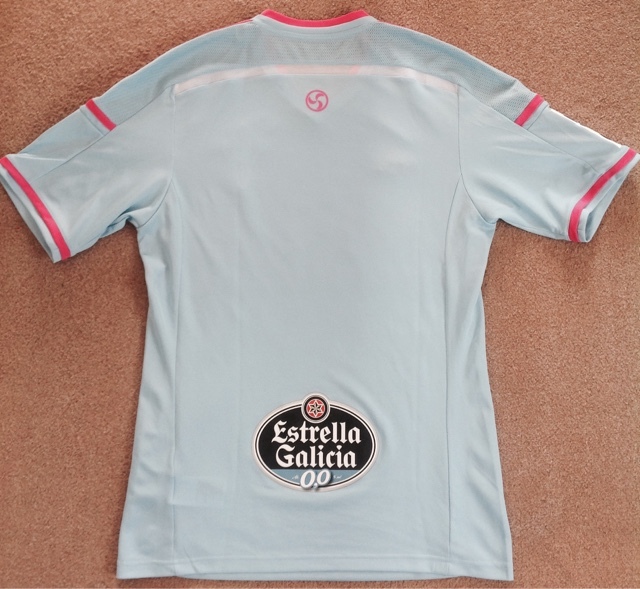 I ordered this from FutbolMania.com in their end of season sale and got it delivered to Spain while I was on holiday to save money on the postage costs. 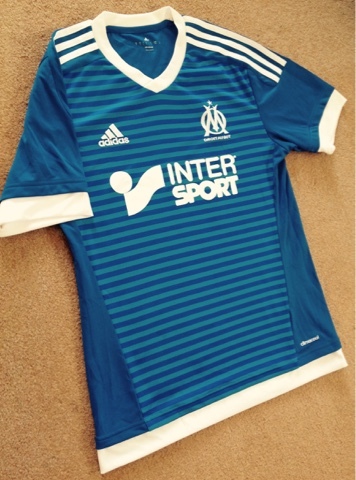 I didn't quite realise at the time it was the adizero player version so even the medium comes up very tight (along with a very gluttonous holiday!) 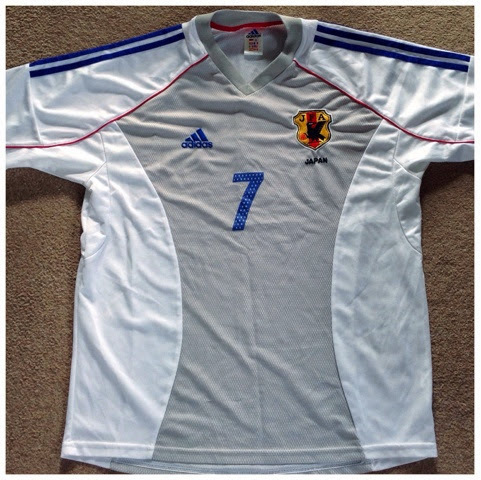 I even ordered two sizes but managed to sell the other smaller shirt on eBay for more than I payed for it anyway. 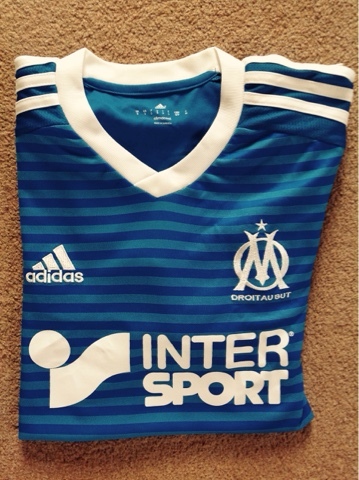 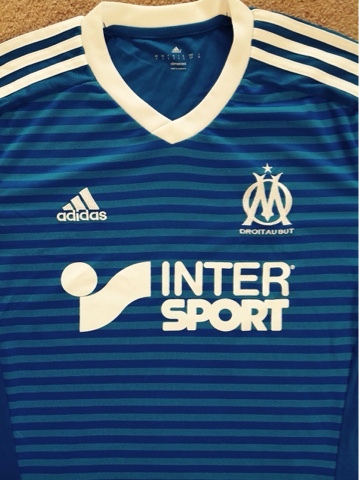 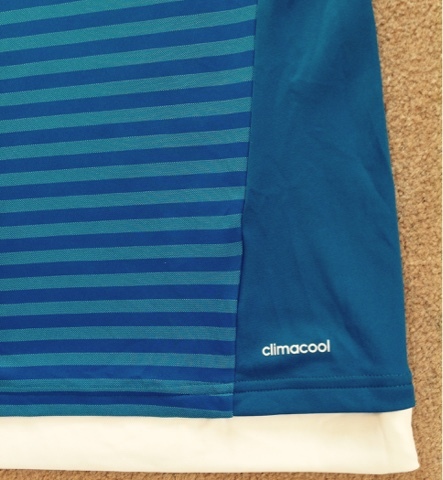 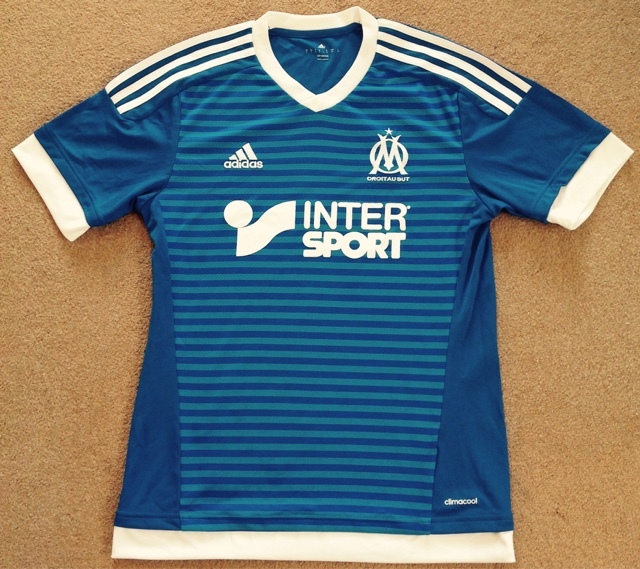 As usual Marseille released their shirts very early on in the summer and this is next seasons third shirt. 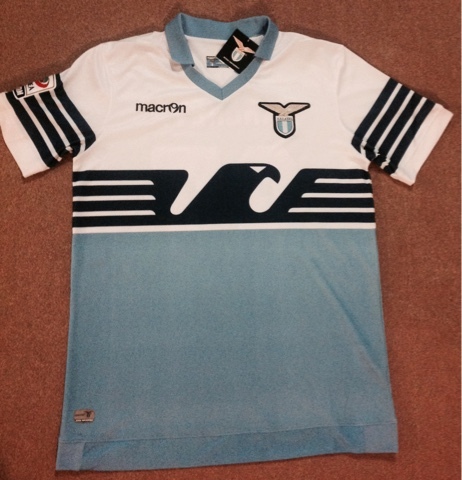 I'm not 100% sure which template this is but I think its the Tiro 15. 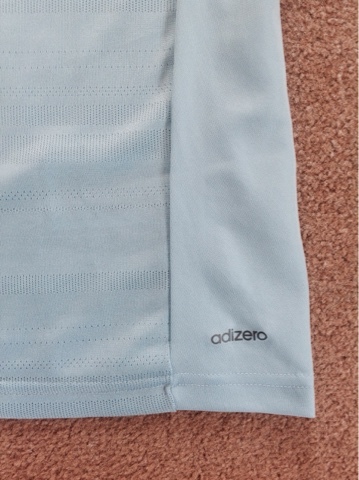 They follow the tradition of using light blue in their change strips, which means they can easily swap the home and away shorts around if required. 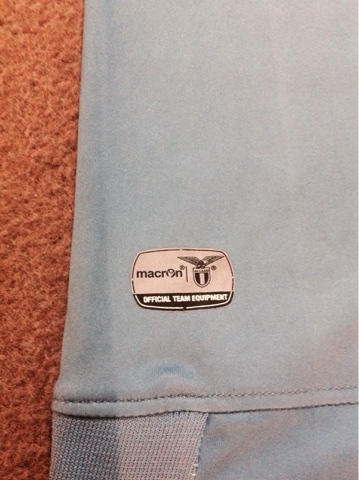 I managed to pick this up on eBay for £20, seemed a little too good to be true but it came with all original tags, if it is a fake its fooled me! 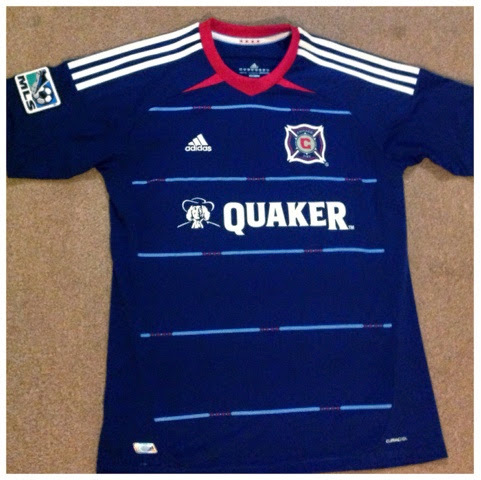 Personally I prefer last seasons Adidas templates with the horizontal line on the back, this template seems a little plain but the stripes add a little extra to the design. 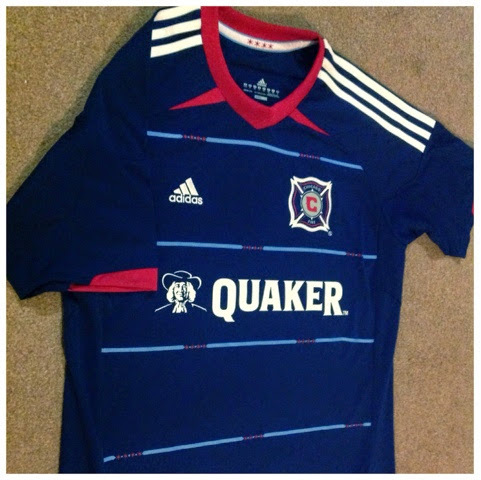 Another one from the MLS here, one of my favorites from the past couple of seasons. 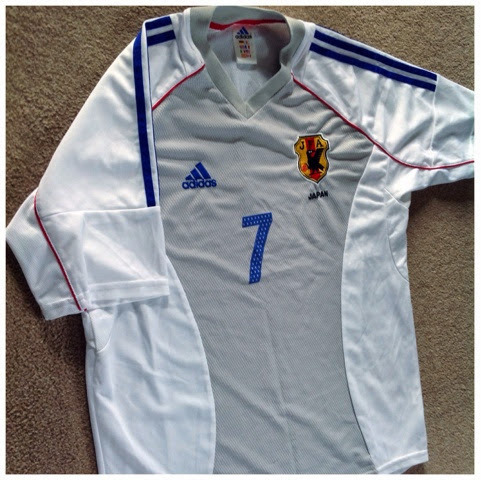 I had been looking all over for this shirt and eventually found it on eBay, got it for a great price in youth XL and managed to avoid that pesky eBay global shipping program! 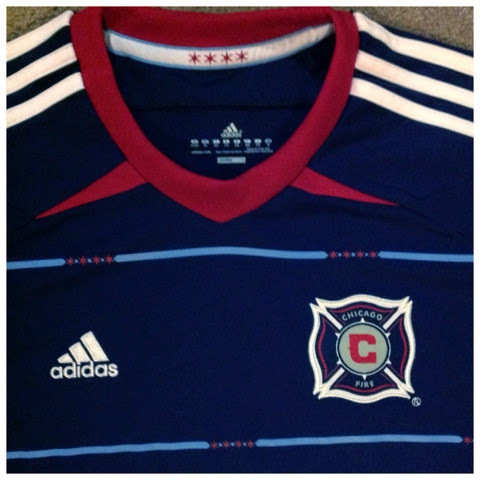 The shirt features the four stars which crop up a lot on the Fire jerseys. 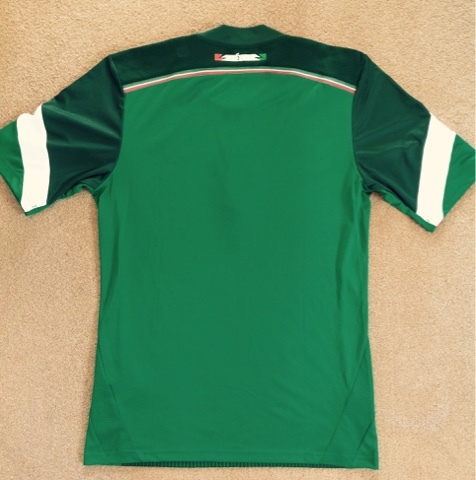 I believe the new third shirt which was designed by a fan who won a competition uses the stars also. 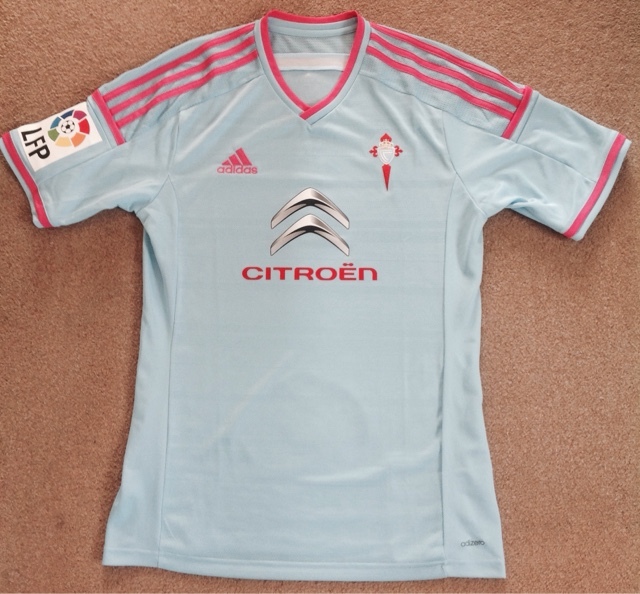 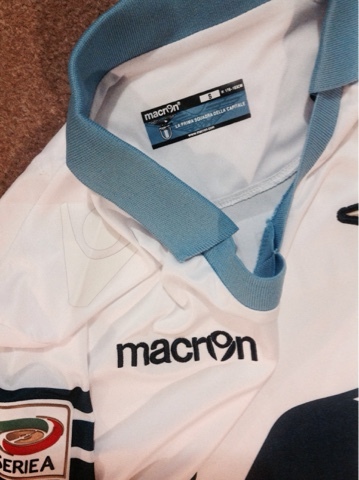 This shirt is actually the current away shirt having been used for two seasons, very rare in this day and age! 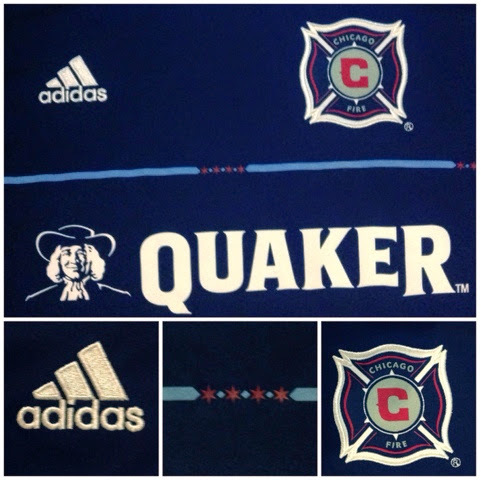 I love the Quaker sponsor on this, really adds to the design and makes it that little bit more unique. 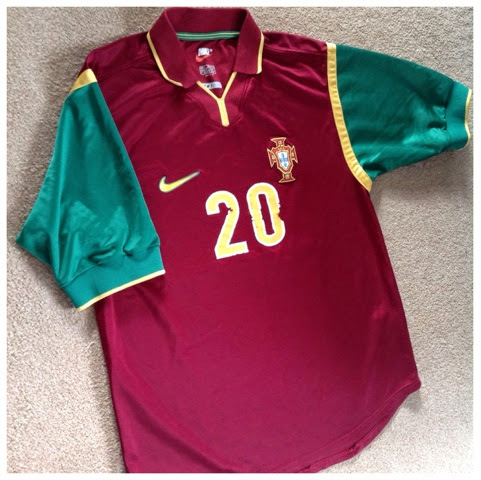 This is the Portugal home shirt from 1998 through to 2000. 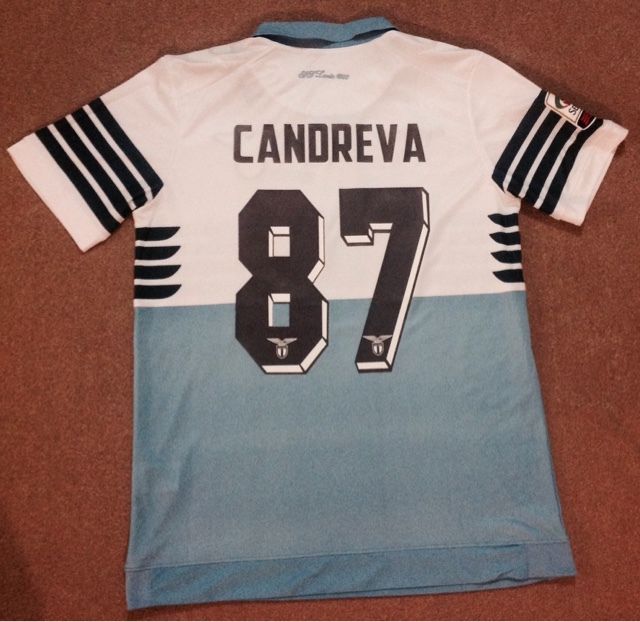 Although I dint realise at the time I think this is actually a player issue. 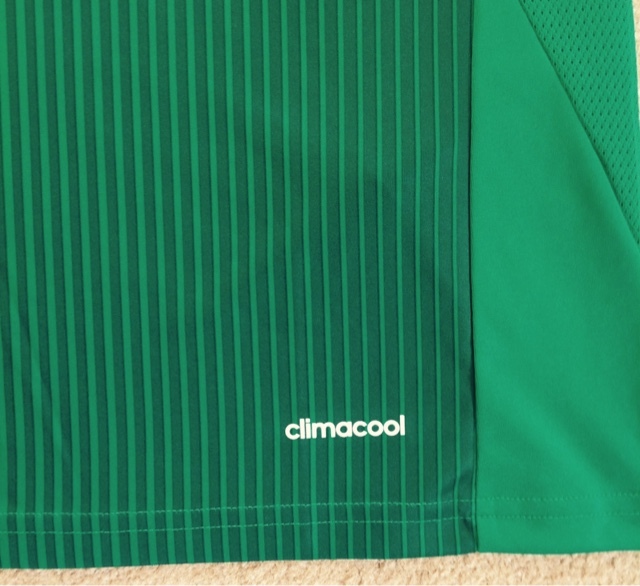 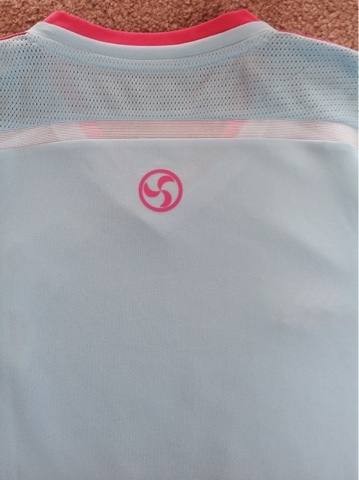 I've since noticed the replica shirts have the size label in the bottom right corner where as this one doesn't, also the numbers would suggest its player version. 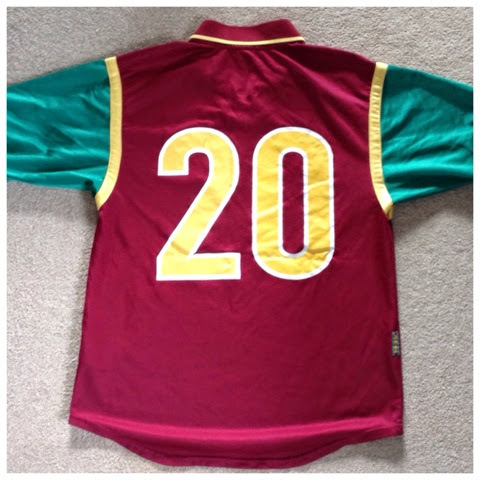 I've no idea if its worth much, especially given the peeling to the numbers but it only cost a couple quid on eBay so not really bothered. 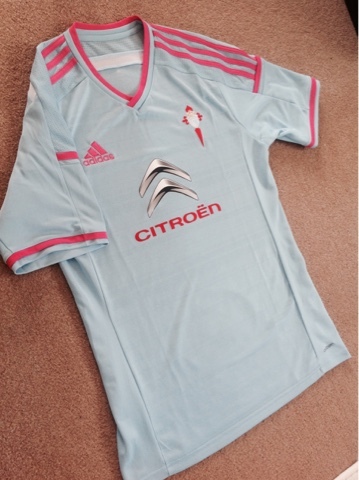 I had the away shirt from the same year, but lost it years ago so this was a consolation purchase. 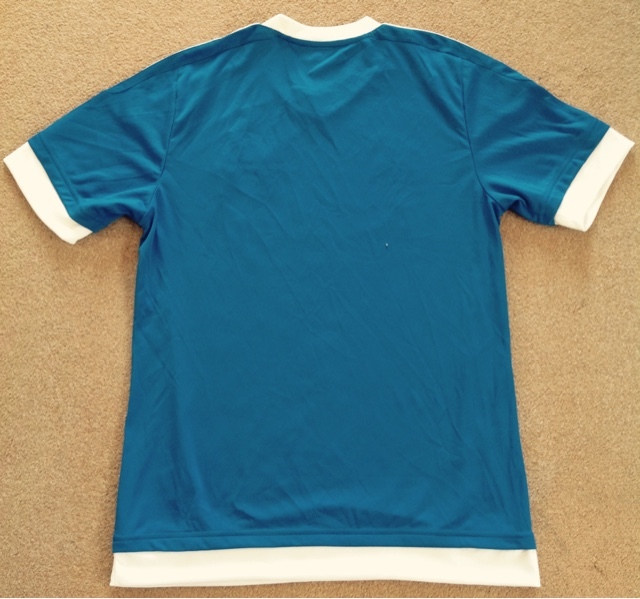 The Nike shirts of the late 90's were very distinctive with their designs, moving away from the garish and loud patterns onto the more classic/plain looking designs. 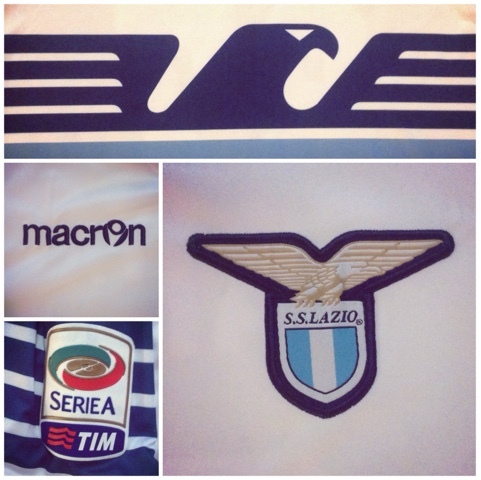 Bit late posting this, was going to do a series during the World Cup but never found the time! 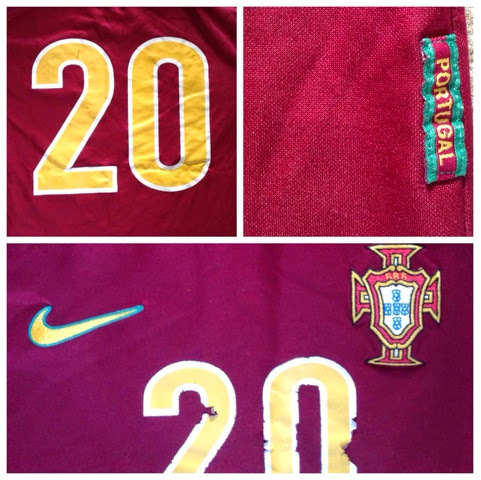 This is a very old shirt in my collection, seem to remember buying it with my first proper pay packet! 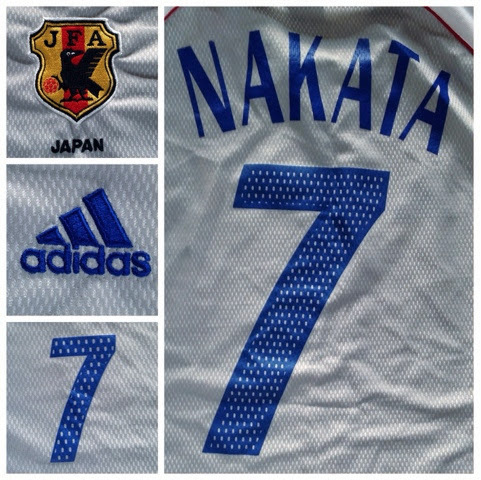 If memory serves me correctly this was from the 2002 World Cup which was in Japan and Korea. 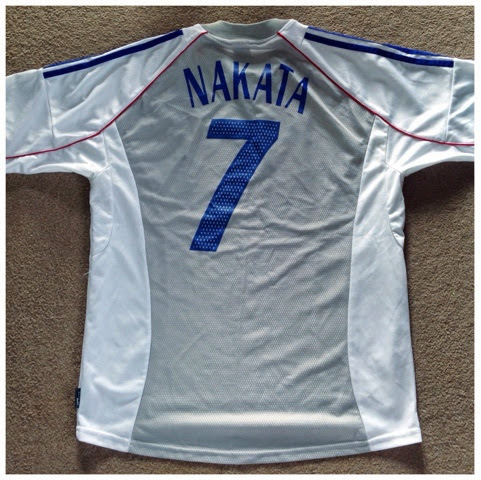 This is probably one of my least favorite shirts in my collection but as time goes on may well end up being the most valuable, given its rarity.